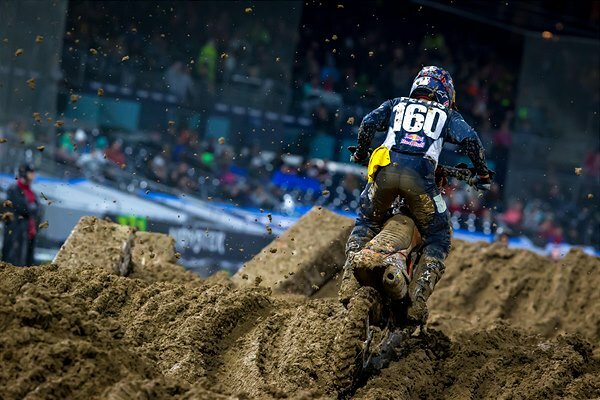 Jess Pettis – KTM RED BULL THOR Factory MX2 Racer: “San Diego supercross was really good on me. The conditions were really muddy, but I was able to keep a positive attitude and have fun all day. I qualified 9th, got 4th in my heat race, and had a good start in the main event, battled inside the top 5 the whole race. After a couple of tip overs I was able to cross the finished line in 5th place for a career best. I am also in 10th in points which I’m really excited about.